Alpinestars Nomex underwear series provides a safe and comfortable layer underneath your suit, boots, and helmet. The Nomex series complies with FIA regulations and is a must at all levels of auto competition. Complies with FIA 8856-2000 and SFI 3.3 homologation standards. 180gr 100% Nomex construction for maximum safety. Thread is reinforced with DuPont KEVLAR fiber in the fabric for softer feel. Flat seam construction to reduce pressure points. Interlock wave construction for enhanced comfort. 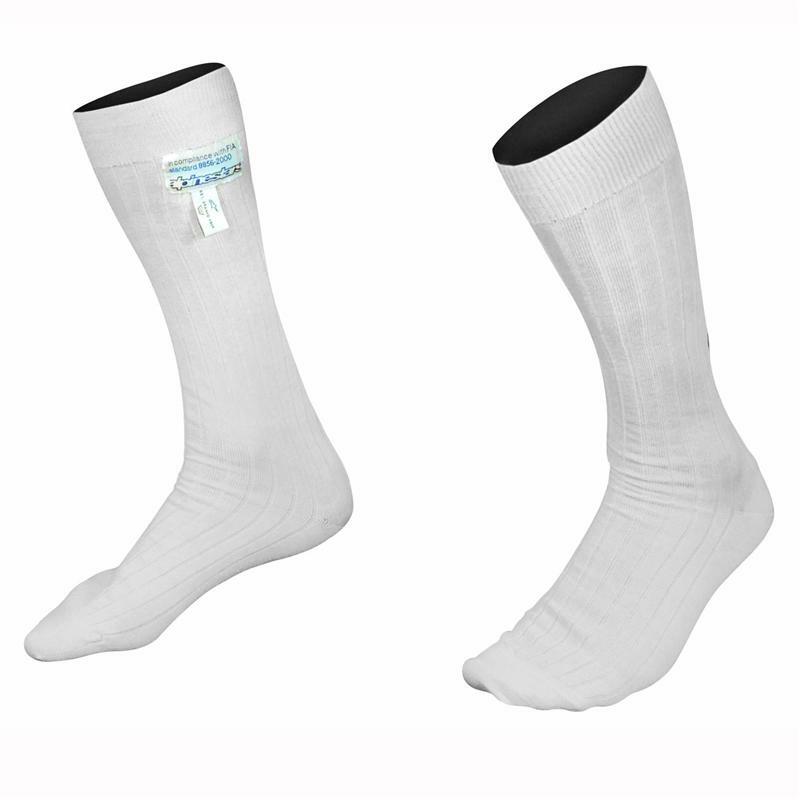 Knee length socks are 180gr 100% Nomex for maximum safety. DuPont and KEVLAR are registered trademarks or trademarks of E.I. du Pont de Nemours and Company and are used with permission.